Pandas are the gentle giants of the Chinese rainforest. So rare and so cute with their sad eyes and black and white coat. 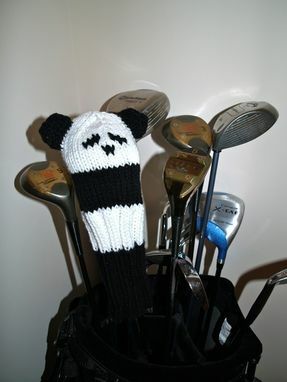 This Panda golf club cover was designed to fit a driver but can be used on any club in your bag. 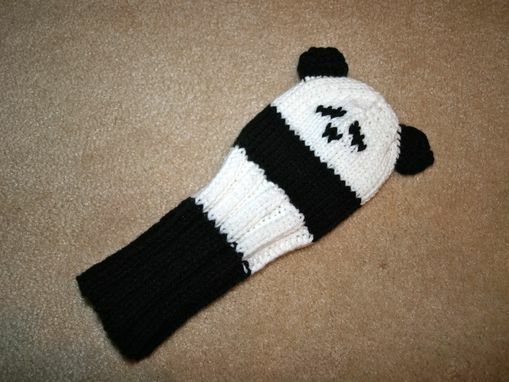 Made out of Acrylic yarn so that it can withstand an unexpected downpour and is machine washable. 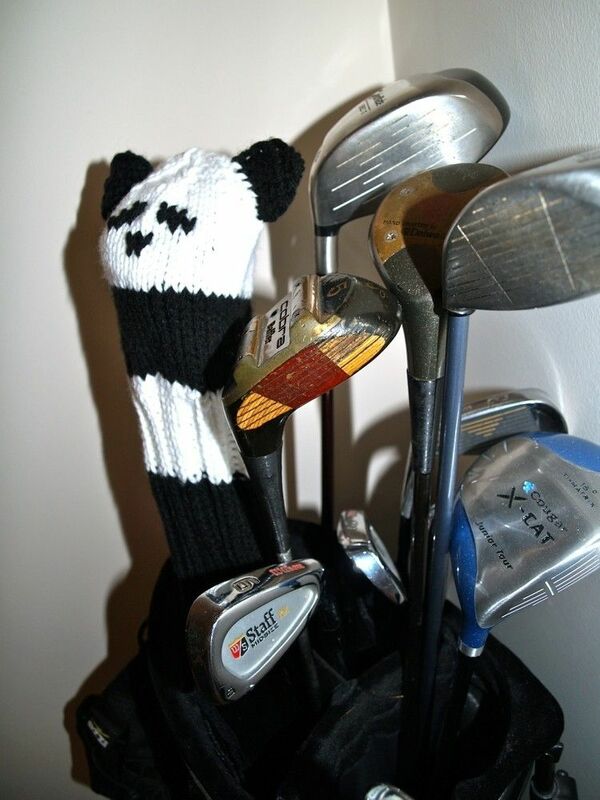 Your Panda golf club cover will be shipped to you wrapped in tissue and boxed up tight to prevent damage. Dont see the animal you are looking for? 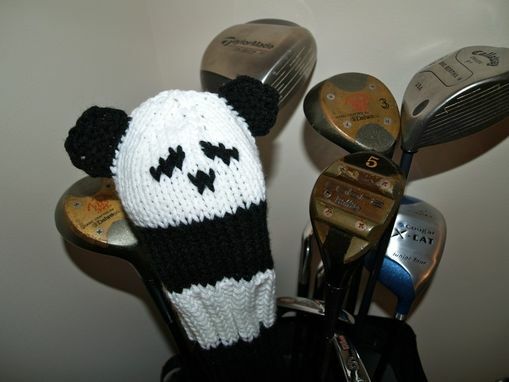 Custom orders are always available.